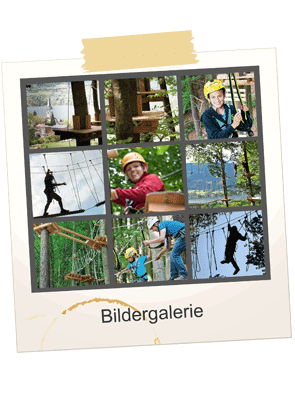 Kletterwald Ossiacher See | The Outdoor Excursion in Carinthia for all ages! 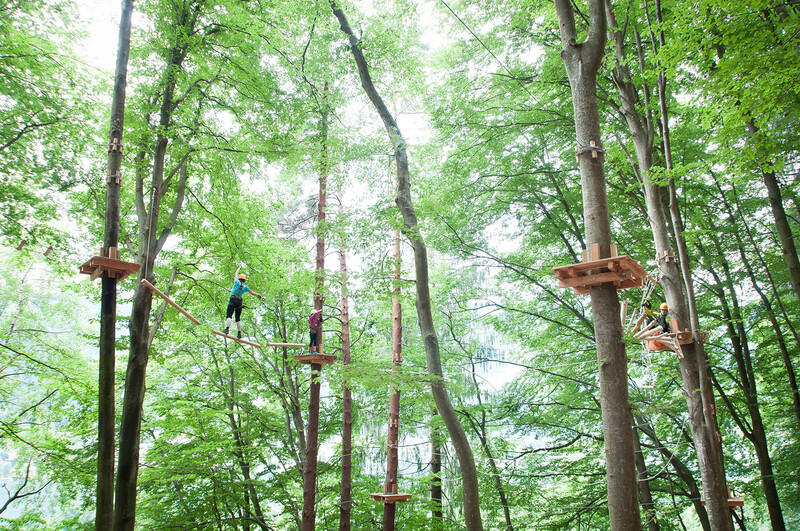 Action-packed, unforgettable and exciting experiences for all ages and levels guaranteed. 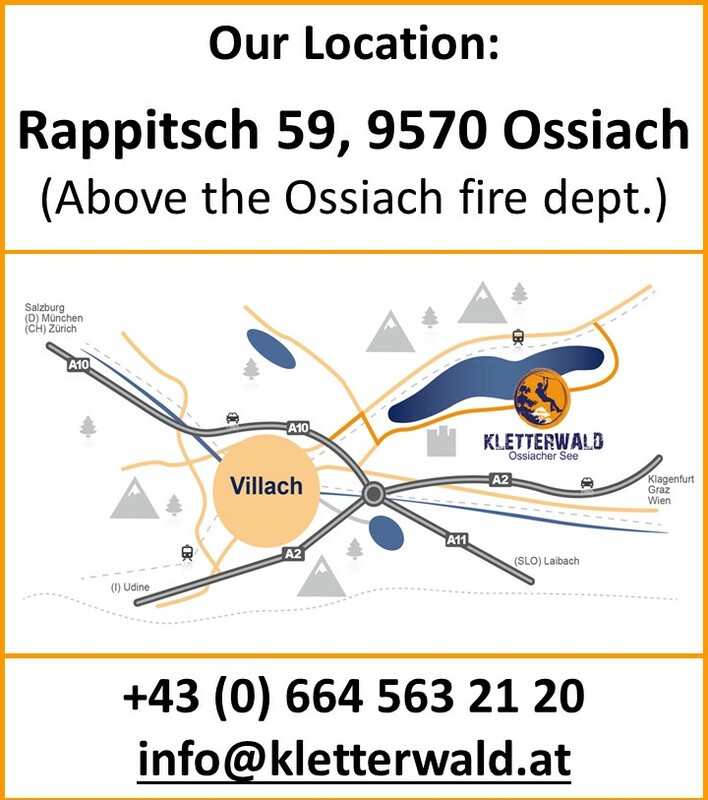 Only five minutes walk from the center of Ossiach with spectacular views from our sunny terrace. 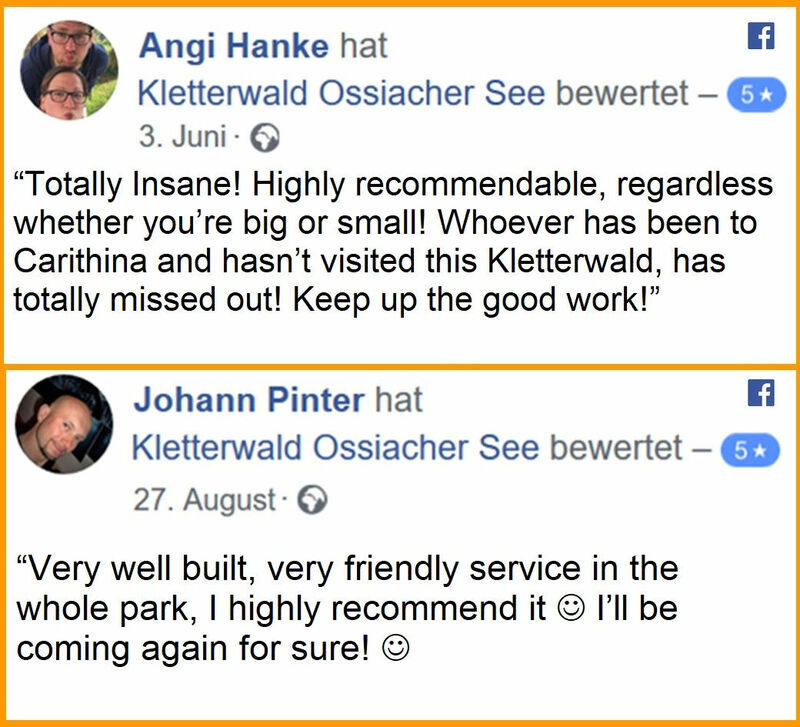 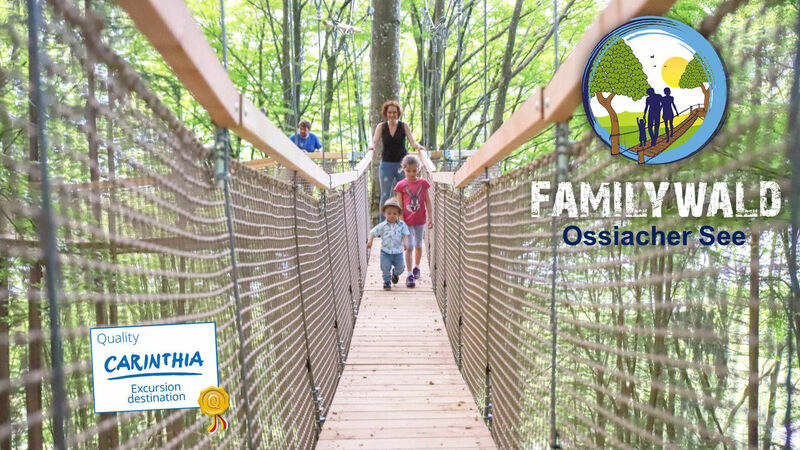 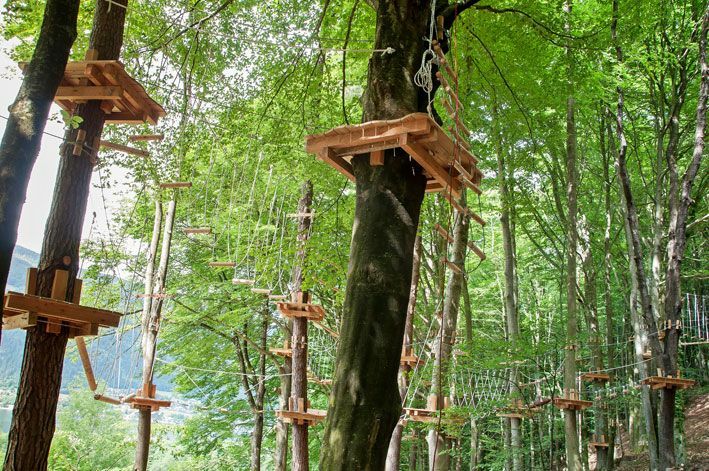 More than 100 exercises in various difficulty levels, will make your trip to the Climbing Forest (Kletterwald) an unforgettable adventure for the whole family. 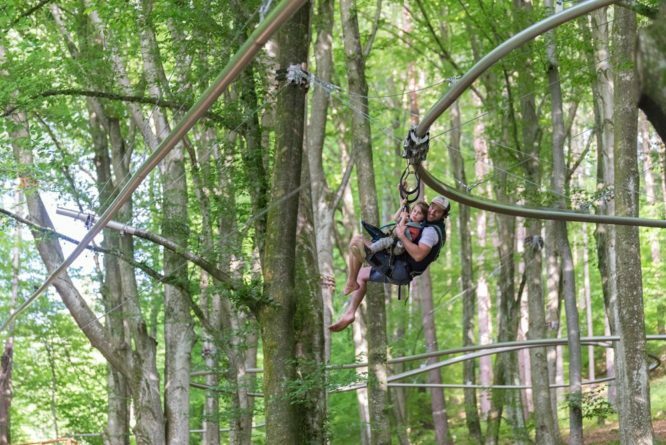 The forest roller coaster “Fly-Line”: Unforgettable fun for all ages and usable from a weight of approx. 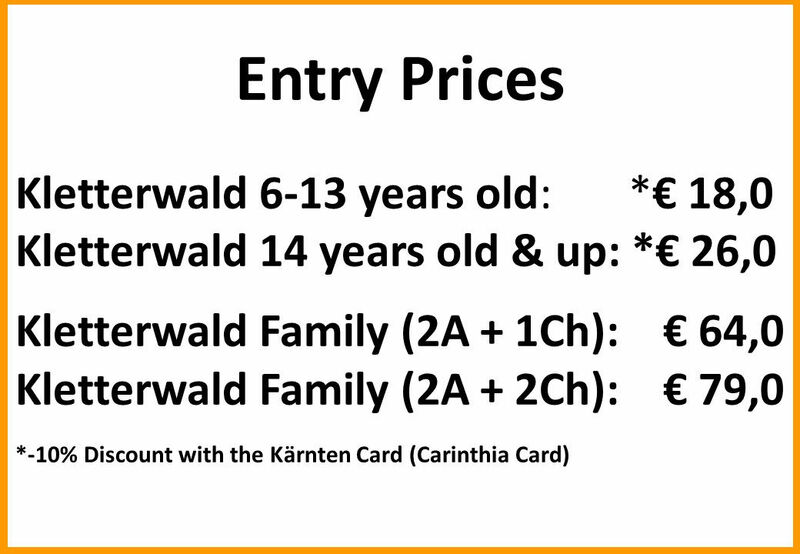 twelve kilograms. 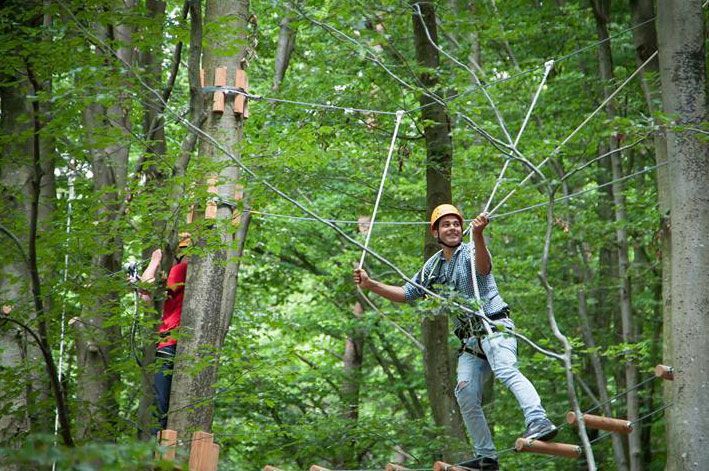 Dense foliage makes the Kletterwald an ideal destination on hot days as well as rainy days. 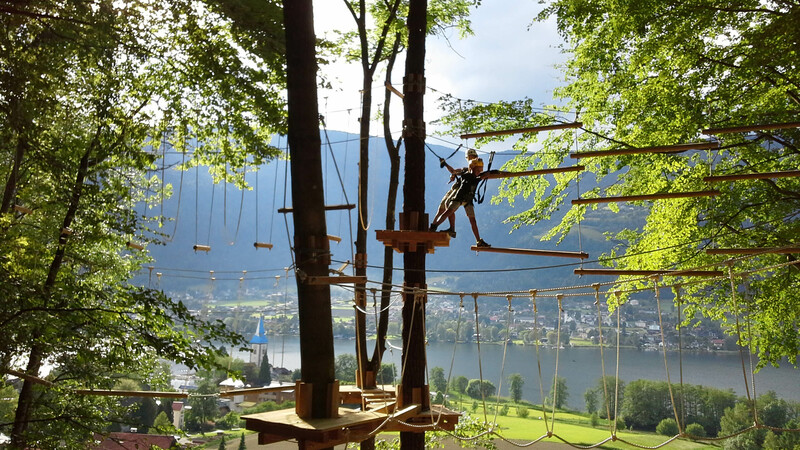 Weekend excursion for young and old in Carinthia. 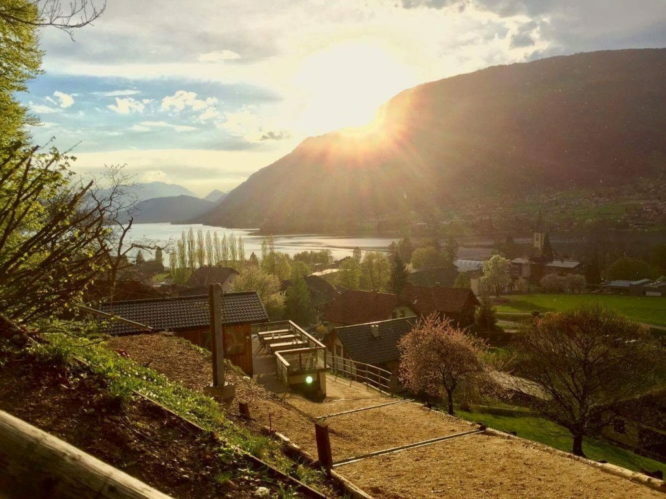 The sun terrace, with its unique views of Lake Ossiach, the Gerlitzen Alps and the surrounding mountains invites you to linger away from the climbing park and enjoy snacks and drinks.